Formed by Irish-American singer-songwriter Thom Moore (ex Pumpkinhead) and Janie Cribbs, together with Martin O'Connor and ace guitarist Gerry O'Beirne (ex Great Saturday Night Swindle and Hybrid). 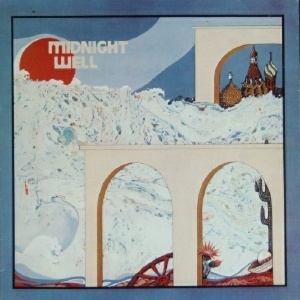 While mining similar trad / folk / country rock territory as Pumpkinhead, Midnight Well's album consists entirely of Thom Moore originals, in contrast to the earlier band's album of the year before. 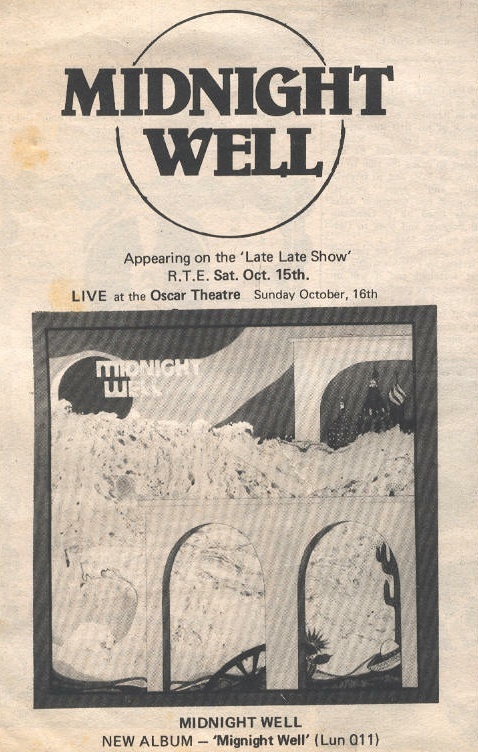 Thom Moore returned to California in 1979, shortly after Midnight Well split, where he stayed for 10 years, eventually writing and recording again, returning to Europe in 1989 and settling back in Ireland in 1995. 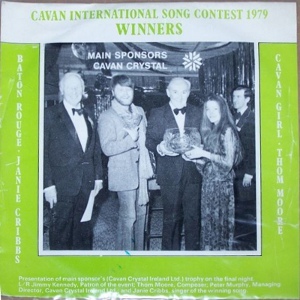 He is a well known songwriter whose songs have been covered by many (Irish) artists. See his website for more details. 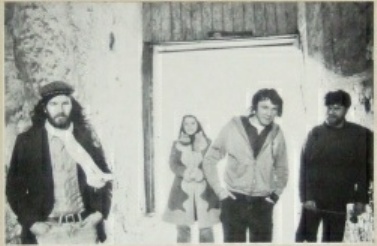 Recorded and mixed at Lombard Sound, Dublin. Notes: Guests include Paul Barrett (trombone), Greg Boland (acoustic guitar), Fran Breen (drums, percussion), Robbie Brennan (percussion), Kevin Burke (fiddle), Shaun Davey (string machine), Keith Donald (sax), Pat Farrell (electric guitar), Garvan Gallagher (electric bass), Jolyon Jackson (piano, cello), Donal Lunny (bouzouki, fiddle, bodhran), Brian Masterson (electric bass), Dave McAmaney (piano) and Ciaran O'Braonain (double bass). 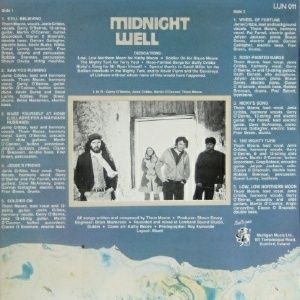 Split single by the two Midnight Well principles.